Thank you for considering the Winchester Cemetery to assist you in your memorial needs. I appreciate your trust and confidence in our service and products. The Winchester Cemetery is a non-profit organization. 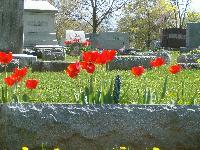 Therefore, revenue from monument sales will allow us to continue to upgrade and maintain the cemetery grounds. Please see our display at the cemetery office. 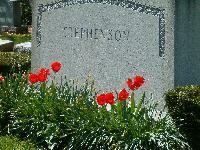 We are also able to replicate most monuments, if you are trying to match existing family markers. Our prices are very competitive and we accept Visa and Mastercard. We are pleased to offer this service to you and I would be honored to assist you in creating a lasting memorial for your loved one. Memories are such precious things, so elusive, so often forgotten in this modern day of living. We know that a new responsibility has now come to you and yours and we hope that it will be possible for us to help you. A monument of everlasting beauty, tastefully sculptured by skilled artisans stands as an enduring memorial to your loved one, to be remembered for all times. The memorial expresses the tender, sincere devotion to the ones with whom so many memories were shared.